Travelers clear Immigration and most Customs processes with Global Entry. 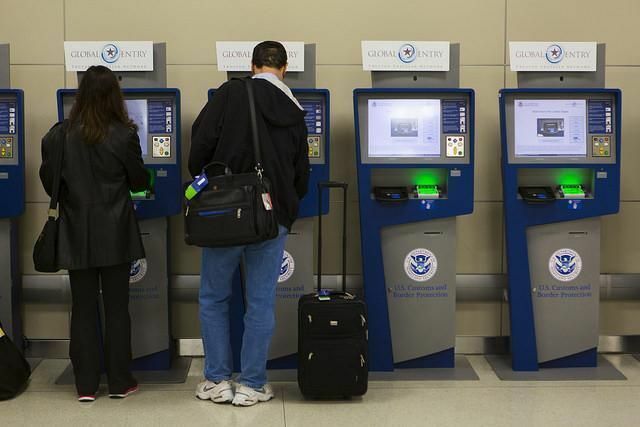 Global Entry and other CPB kiosks expedite entering the U.S.
Over the past month, I’ve been going through the process of joining the Global Entry program. The government enticed me by saying, “Global Entry is a national program enabling Customs and Border Protection (CPB) officers to quickly facilitate low-risk travelers entering the U.S. at certain international airports.” And friends assured me it’s really true. Having access to self-serve kiosks while others wait in long lines is what I call entering the U.S. in an expedited fashion. The program is open to U.S. citizens and U.S. lawful permanent residents with a passport. You have to plan ahead; the Global Entry application process involves a lengthy online application, payment of a $100 fee and, finally, an interview with a CBP official, who approves the applicant, then takes a picture and full set of fingerprints.I took a subway, Long Island Railroad train, and Air Train to get to JFK Airport and the Global Entry office. A very nice Customs Officer asked me the final questions in the process (Why did you travel to Morocco three years ago? Have you ever been arrested? Ever had any problems with the Immigration or Customs process?). I passed the test and received my newly empowered passport, and a lesson in navigating the kiosk that greets you in the Immigration hall. You insert the main page of your passport, your photograph is taken and compared to the file photo taken at the CBP office, and you put your hand on a screen to compare fingerprints with the on-file fingerprints. You have to answer on-screen some of the questions on the blue and white Customs form you’ve always used. It takes less than a minute and you take the printed receipt with your bags to the Customs line. If something doesn’t quite work with the machine, you have First-on-Line status in the regular show-passport-to-Immigration queue, as well as at the Customs checkpoint. Your Global Entry status, valid for 10 years, is embedded into your passport. You are issued a separate Photo ID card which I now use to get through the TSA PreCheck program on domestic flights because it’s all part of the Trusted Traveler Program. The CPB has added tools recently such a mobile apps that travelers can fill out Customs forms with. To make managing your Global Entry card easier, when you renew your passport you can use the online GOES system to update information. Who Can Apply for Global Entry? Now that 3.5 million travelers have enrolled in the CPB’s trusted traveler programs successfully, Global Entry is being expanded to include Canadians (Canadian NEXUS members have Global Entry benefits) and the citizens of many Visa Waiver Program countries. As of September 2015, Global Entry is available to citizens of the Netherlands who are enrolled in FLUX and Korean Smart Entry Service members, application is open to citizens of Germany, Panama, and Mexico. It’s a very handy tool in your travel toolkit, but remember — it works only for the individual with the Global Entry status. It does not take care of your family members, who would each need GE status to join you in this very efficient and forward-looking process. Note that minor children 18 years or younger are required to have parental or legal guardianship permission to apply. 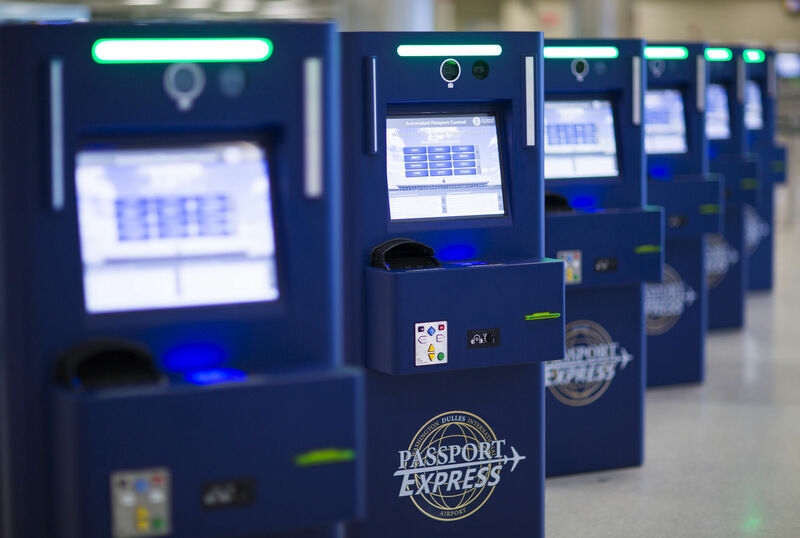 The GE kiosks are in place at more than 160 domestic and international airports; international airports allow visitors to the U.S. to use kiosks to enter their personal security information prior to boarding a flight. I hope that Trusted Traveler programs like this, Automated Passport Control, Mobile Passport Control and others will finally expedite airport security. Time to apply for your Global Entry card? The PreCheck sure beats waiting in line with the kids to even begin our journey, the Global Entry helps you get home faster, and I believe it makes the air travel process safer for everyone.